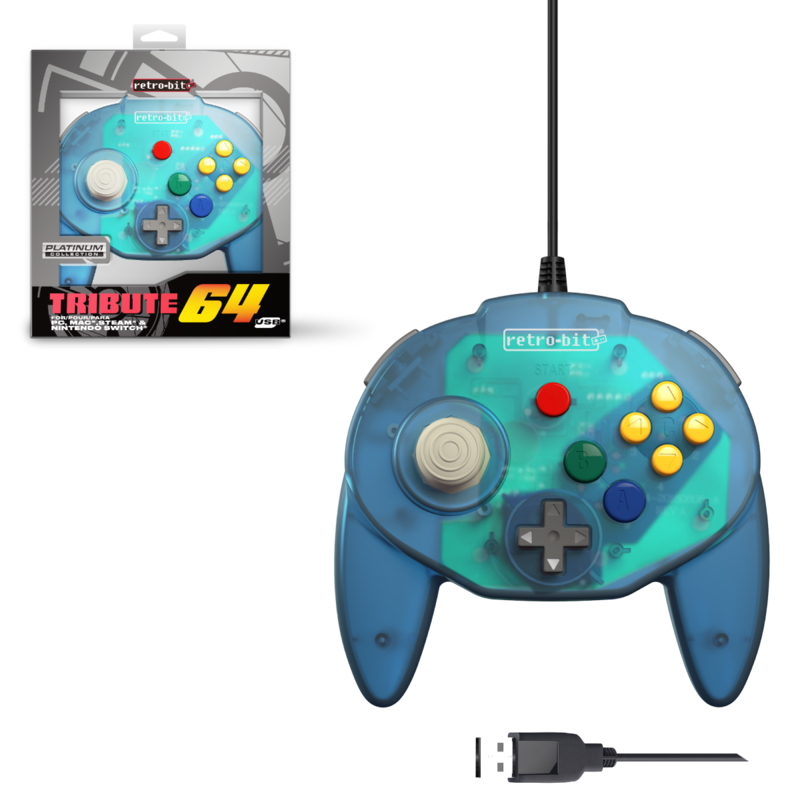 Introducing the Tribute 64 as part of Retro-bit's Platinum Collection! 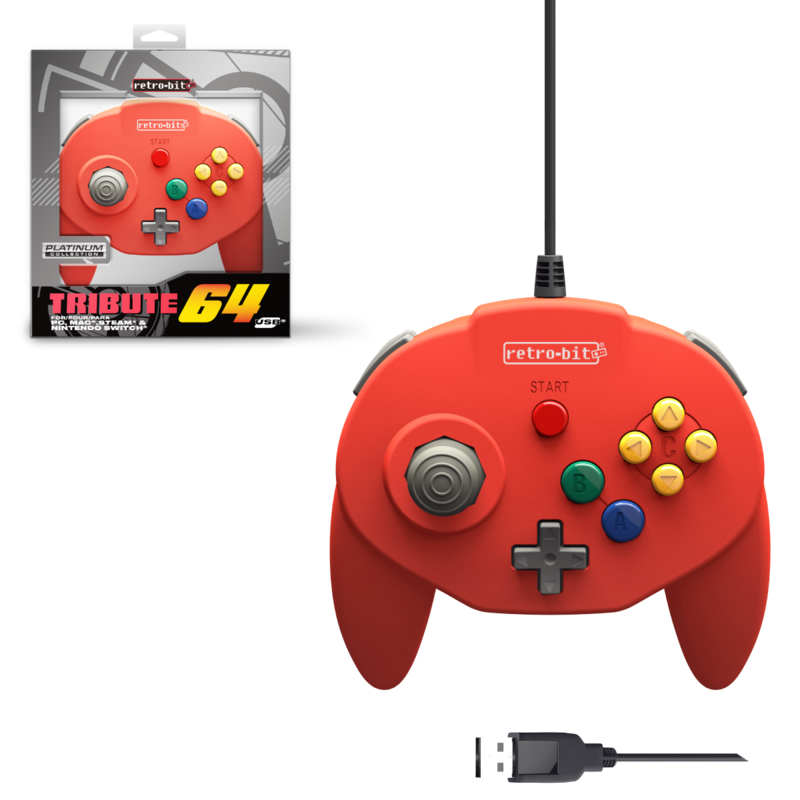 Introducing the Tribute64 as part of Retro-bit's Platinum Collection! The Tribute64 is part of Retro-Bit®’s Platinum Series of controllers dedicated to classic retro gaming consoles. Designed for exclusive use on the N64, it features ultimate versatility for any gaming genre. 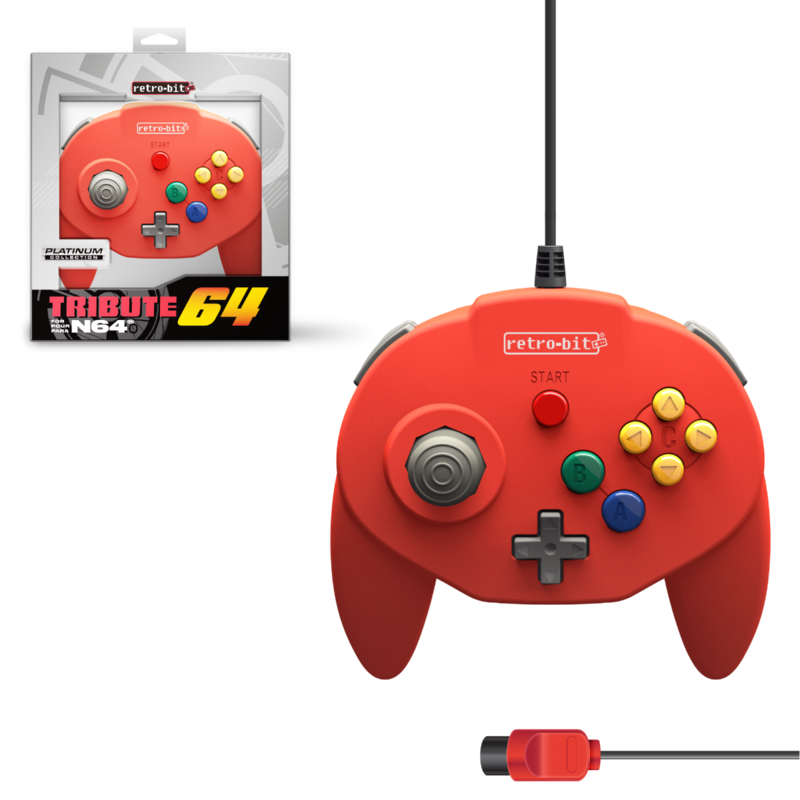 Built with an analog stick made in Japan utilizing the highest grade in quality, a wide and ergonomic design to boost your gaming experience, and a repositioned D-pad positioned for dual thumb access, players will enjoy long hours of classic retro gameplay. Looking to purchase from Retro-bit Europe? Click below! Please note that all information listed above, including designs, ETAs, prices, features, etc., are subject to change without prior notificaiton.